A business address and a local contact number can make a difference to your business. 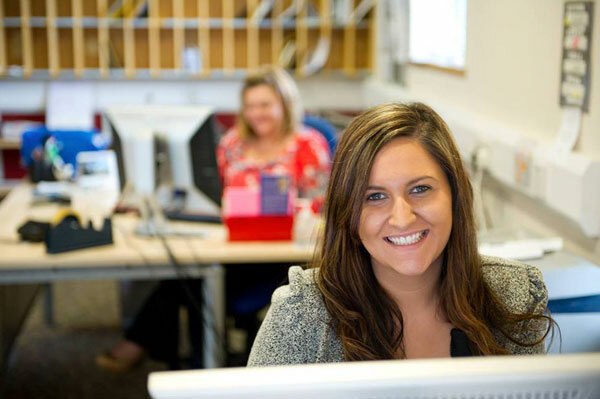 Our reception service will take your phone messages and handle your mail. Interested in renting any of our properties? Whether you’re expanding your business or just need someone to take a message and handle your mail, Omagh Enterprise Centre is for you. Our Virtual office services will mean you have a message service where our professional staff will deal with every call in a professional and helpful manner. Messages can be taken when no one is available and emailed on to you. Having a local telephone number can be an effective way to ensure your company appeals to the local market and can give you a position in a new market. Our Virtual office services offer you the advantages of a business address, without the cost of an office. Your business can be at Omagh Enterprise Centre, increasing your appeal and giving an impressive presence. When mail addressed to your company arrives, our professional team will be able to sign for it and hold it or our mail-forwarding service can transfer it efficiently to your primary location (at an additional cost). Price: £40+vat set up charge and £30+vat fee per month.